Children, who are the victims of “hidden poverty”, will be kept warm this winter by The All-in-One Company. 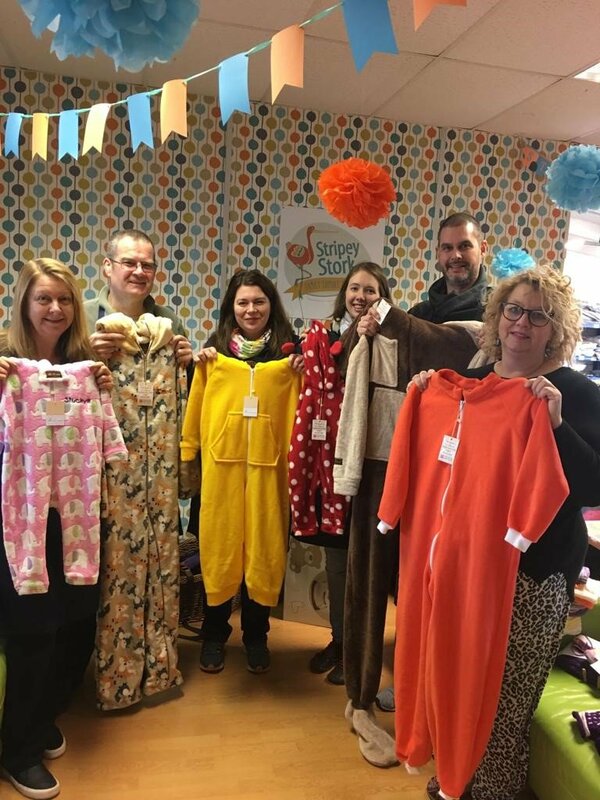 It has sent onesies to a Baby Bank in Surrey after a Channel 4 Dispatches programme – Born on the Breadline - revealed that tens of thousands of families in the UK rely on handouts to keep their children clothed, warm and clean. “We’ve all heard of Food Banks, but not Baby Banks where people are having to go for clothes and equipment. 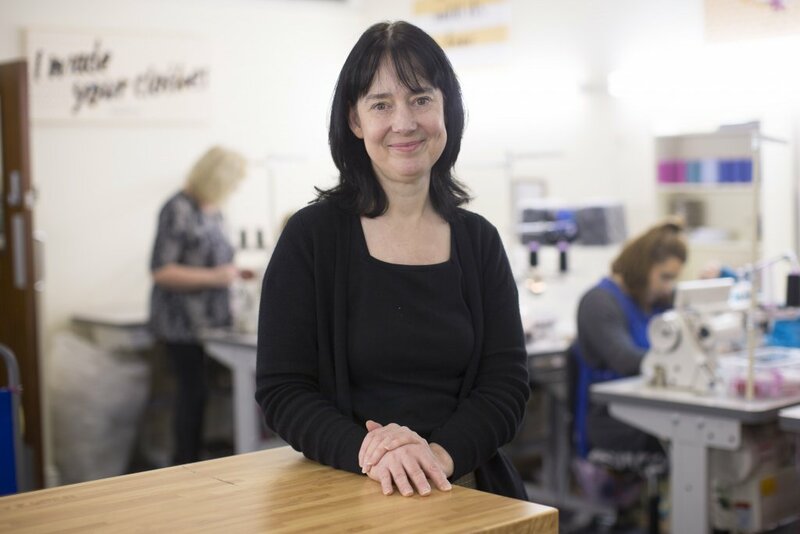 If we can help, it’s an opportunity for us to get our suits to people who need them,” said Kate Dawson, who started The All-in-One Company in Ashington in Northumberland 10 years ago. She wanted to help families in the North East – where the country’s busiest Food Bank is based – but, although the number of Baby Banks in the UK has grown to more than 100, there are none here. The onesies have gone instead to one of the more established Baby Banks - Stripey Stork in Surrey – which is run by Nicola Dawes, who grew up in Blyth just over 10 miles from The All-in-One Company’s factory. Nicola – who had a successful career in banking - said Stripey Stork has responded to 6,000 requests for help and given out nearly £2m of items free of charge since she set it up five years ago, initially to find homes for the baby equipment her children had outgrown. Nicola has helped set up many of the other Baby Banks, including one in the North East which did not survive through a lack of funding. She said the area’s need is desperate: “I’ve got friends who are teachers in primary schools in the North East and hear them talk about children coming to school without uniforms, or are embarrassed to talk about what happened at Christmas because they do not have any stories to share about presents they received. It echoes what we hear in Surrey, but probably on a bigger scale. Keeping children warm and cosy was Kate’s inspiration for starting the business after she could not find a sleepsuit for her young daughter. A decade later The All-in-One Company has handmade tens of thousands of onesies for customers from more than 200 countries. They have been worn by celebrities and in television programmes. The company has also worked closely with The National Autistic Society - to help children who are sensitive to materials and fastenings, design their own sensory onesies - Comic Relief, Macmillan Cancer Support and Oxfam, and supplied local schools, charities and crafters with hundreds of bags of offcuts. It is urging other Baby Banks to get in touch by e-mailing info@the-all-in-one-company.co.uk or ringing 01670 522478.